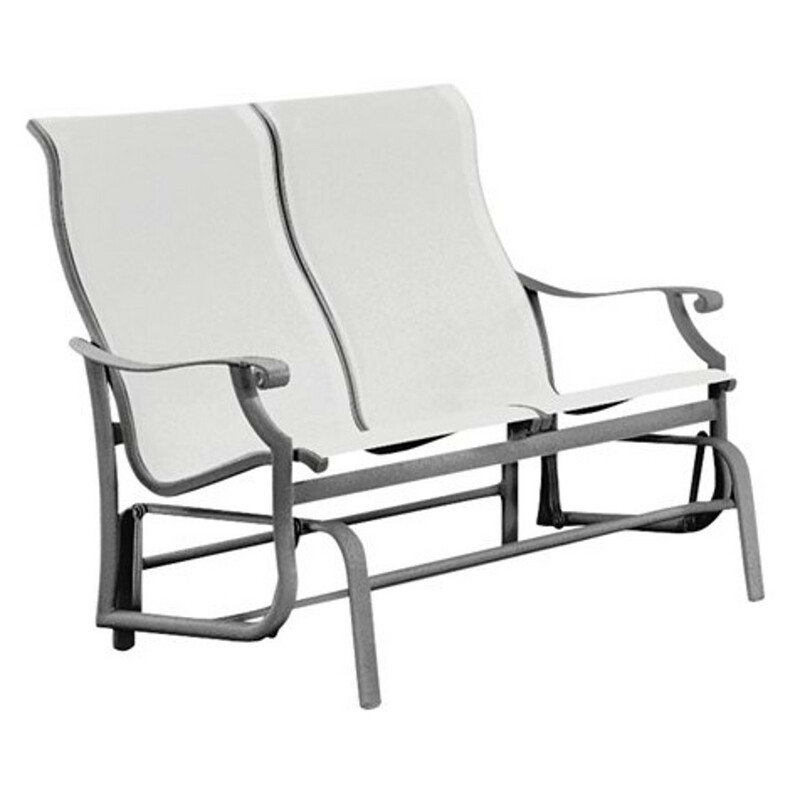 The Sling Double Glider from Tropitone's Montreux Collection. The Montreux Sling Collection is a perfect interplay of extruded aluminum seamlessly blended with cast aluminum details and features sling fabric strung taut across the seat and back. Get the most from outdoor patio furniture by pairing Montreux Sling with coordinating outdoor Tropitone® Tables under a Basta Sole® Market Umbrella.